Basketball icon Billy Tubbs lettered three years in basketball at Central High School and played at Lon Morris Junior College where he helped the Bearcats reach the National Junior College semi-finals. He received his bachelor&apos;s from Lamar University in 1958 and his masters from Stephen F. Austin in 1959. While at Lamar, he lettered two years under Coach Jack Martin and became Martin&apos;s assistant coach from 1960-1971. He went on to become head coach at Southwestern University from 1971-1973 and returned to Lamar University from 1976 to 1980. Tubbs gained national attention those four years, leading the Cardinals to a 75-46 record and the school&apos;s first two NCAA Tournament appearances. He posted a 23-9 record in 1978-1979, won the Southland Conference championship and advanced to the NCAA Tournament where his team upset Detroit in the first round before losing to Michigan in the second round. A year later, the Cardinals went 22-11, won another SLC championship and advanced to the Sweet Sixteen round of the NCAA Tournament with wins over Weber State and number-five ranked Oregon State, losing to Clemson. He earned SLC Coach of the year honors in 1978 and 1980, and won three conference championships from 1977-1979. Tubbs spend 14 years as Oklahoma head coach. He led the Sooners to the NCAA championship game in 1988 and posted a 333-132 record with a winning percentage of .716. He took OU to nine NCAA tournaments and four NIT&apos;s during his tenure, including a streak of six straight "Sweet Sixteen" appearances from 1985 to 1990. He was named Big Eight Coach of the Year four times - 1984, 1985, 1988, 1989 - and was names Basketball Weekly National Coach of the Year in 1984 and 1985. Tubbs then moved to TCU where he guided the Horned Frogs to a 156-95 record. He took TCU to one NCAA Tournament and a pair of NIT&apos;s, and earned 1995 Southwest Conference Coach of the Year honors. 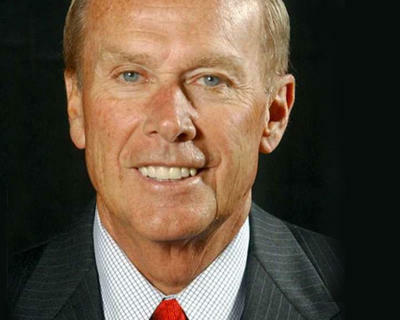 Tubbs returned to Lamar in 2002 as Director of Athletics. In March 2003, he added head basketball coach to his title. This information is courtesy of the Beaumont Enterprise.